Even celebrities get in trouble with their kids sometimes! But who knew it would be in the comments section of a social media app?? Related: Gwyneth Paltrow Gets Real About Her ‘Conscious Uncoupling’ From Her Ex! Unfortunately, the candid post didn’t go over well with the teen, whom she shares with ex-husband Chris Martin. 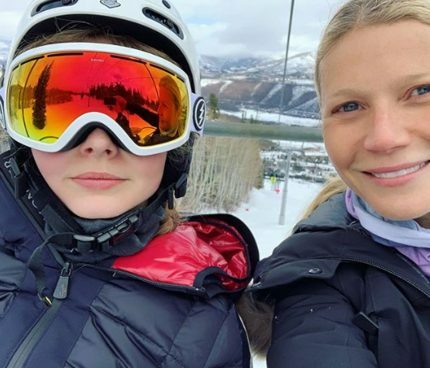 While the 14-year-old’s face is half covered by her huge ski goggles, you can see (below) she’s not sharing the same happy expression as her A-lister momma. Sure, Paltrow has over five million followers on the app, but can you blame a momma for wanting to share a happy moment with her daughter for them to see?? After all, the last time the 46-year-old shared a selfie of them together (featured up top) was this past September when the actress celebrated National Daughters Day! To be totally fair, the young girl keeps her own IG private, and might prefer if her life wasn’t so public with her famous parents! Although, it’s hard to tell if she was even serious about the consent request in the first place. And it seems like even the comments are divided on the matter, too, with Instagram users chiming in support of Apple or in defense of the Goop founder! Where do U stand, Perezcious readers?? Should celebrity parents ask their kids for permission before posting a pic or do they get to decide? 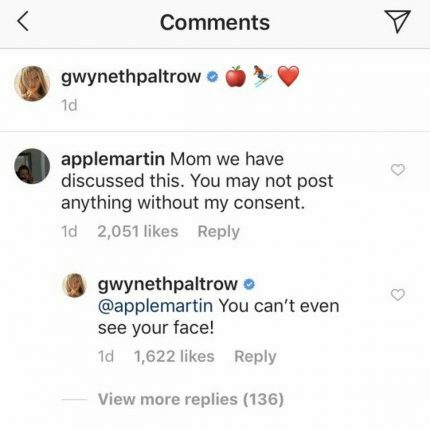 The post Gwyneth Paltrow Gets Called Out By Daughter Apple For Posting New Selfie Without ‘Consent’ appeared first on Perez Hilton.